Here’s your chance to make wind chimes that are truly one of a kind! This simple project provides an easy way to add style and pleasant sounds to your outdoor space. Simple Supplies. The top of the project is an inverted flower pot. 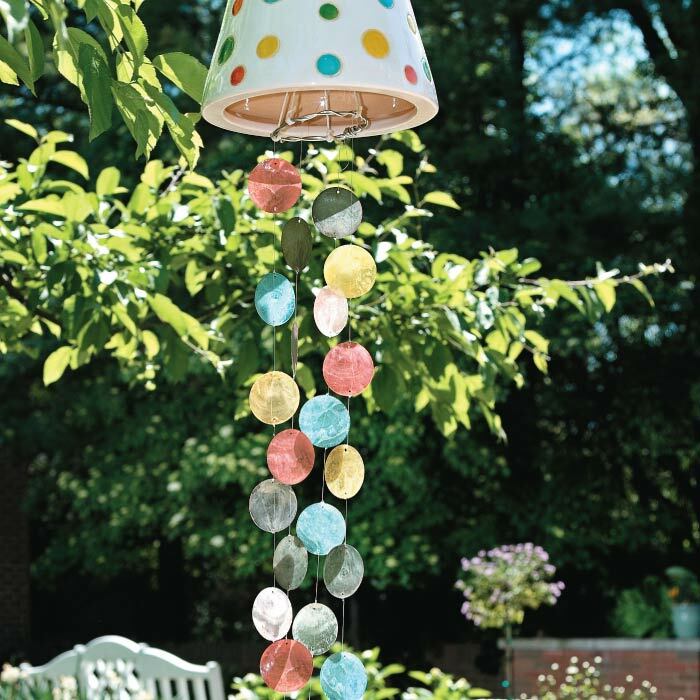 We used colorful glass shells for the chimes below. 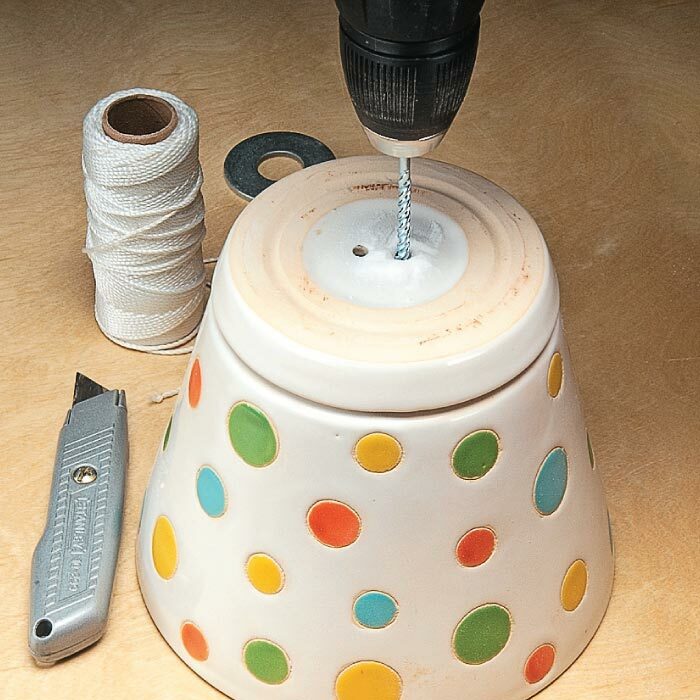 To start, turn the pot upside-down, and drill two holes in the bottom with a masonry bit. The holes should be evenly spaced around the center. Drill slowly to avoid breaking the pot. The rest of the project components are connected with masonry line threaded through the two holes. 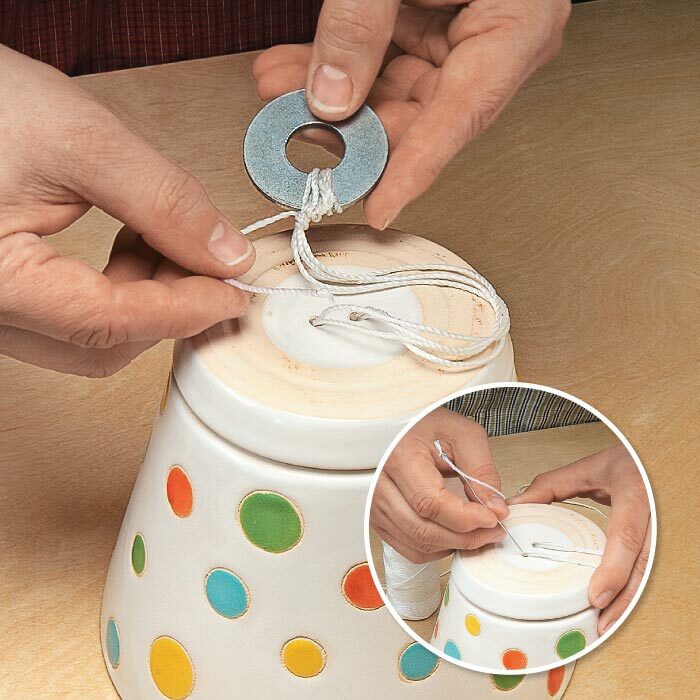 First, add a washer that you’ll use to hang the pot. If you have trouble threading the line through the holes, tie a knot in the end of the line. Then form a makeshift needle from a paper clip to pull it through (inset photo). The chimes will get tied to a wire hoop beneath the pot. 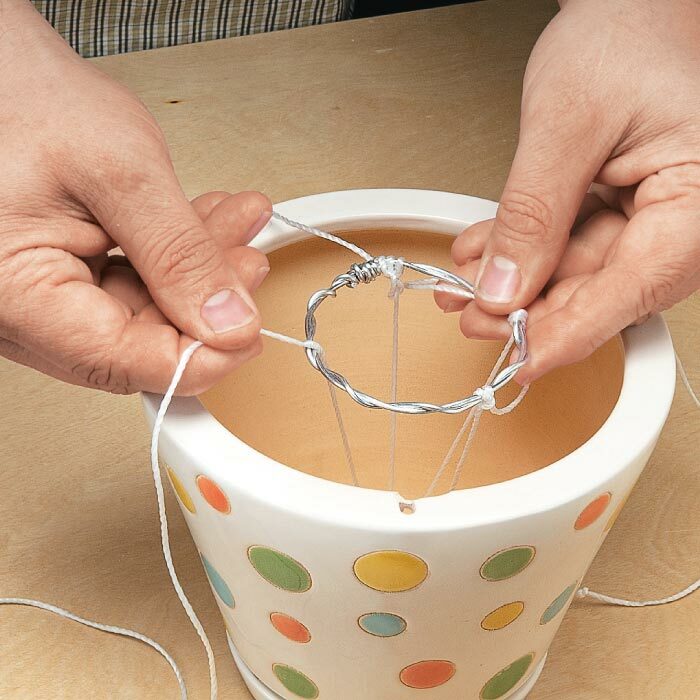 Make this hoop by twisting floral wire around itself for strength. Then secure it with two more pieces of masonry line that are each threaded up through one hole and down through the other. Each chime is a strand of colorful shells. 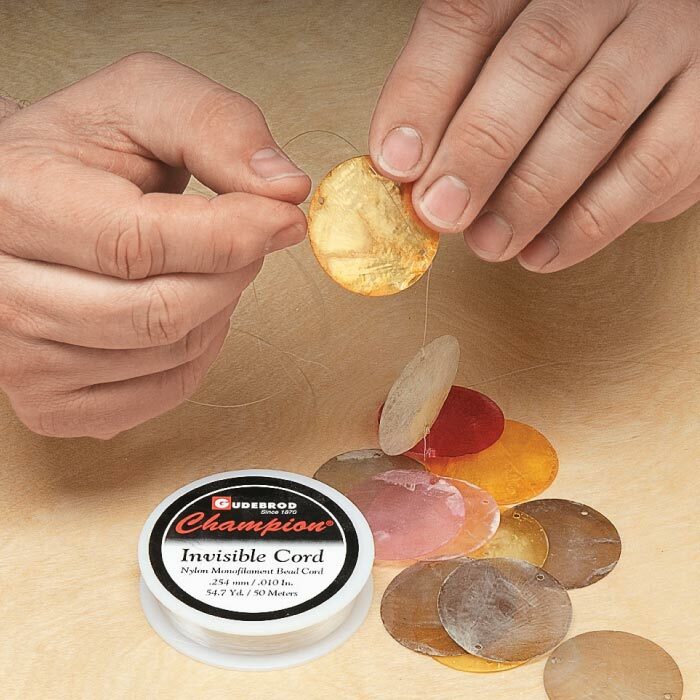 To make a strand, tie a knot in one end of a monofilament line, and then thread one of the shells onto the other end. Repeat the process for each shell, tying knots where desired to establish spacing between shells. Once all of the parts are connected, it’s time to hang your custom wind chimes. The result of the project is a fun, soothing outdoor accessory that only costs about $20.